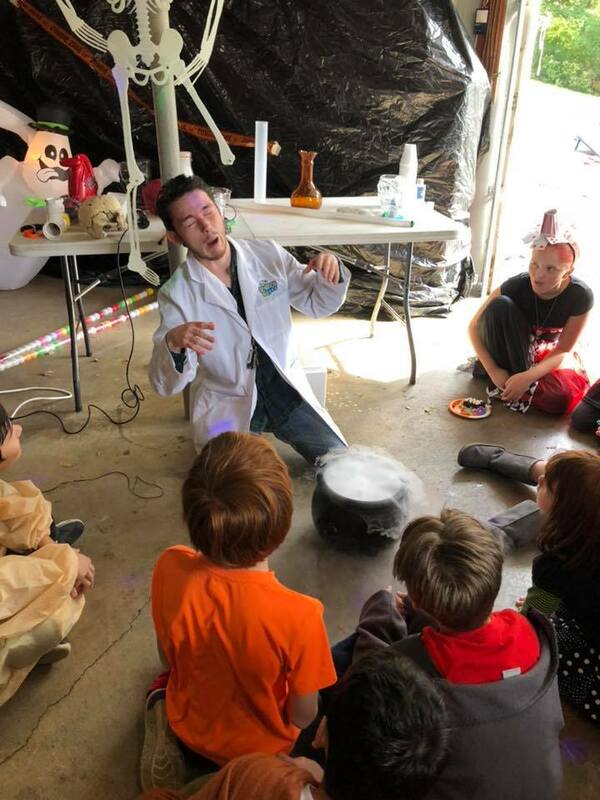 Upon graduation from Hume Fogg High School, Fenn became a full time Science Guy in 2018. A jovial conversationalist, Fenn delights in always creating a great time for all participants and for himself as well! At science parties he shares his own lifetime of watching and learning, having grown up in the family business. Thank you so much for everything at Moon Night. I can’t tell you how many notes I have gotten about how great the science show was that Fenn did. Please put me on your calendar for October 5th 2019 for the same- activities and show. Thanks! Our science guy (he said his name was Coco) was amazing! Everyone left the party wanting to have Mr. Bond for their birthdays. I'm hoping to try to get Mr. Bond come to our school as well. A big hit with the kids. Laura Shipp.